We also offer Chemistry A Level tuition from a private tutor and former teacher with a degree in Chemistry. As a former teacher, we understand the recent changes to the curriculum and the pressure put on students to achieve in a final examination at the end of the two-year course. 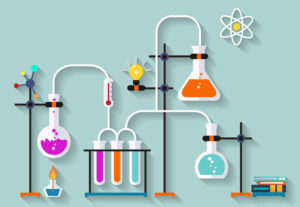 Chemistry is an extremely difficult A Level and it is important that the student can understand and apply the content they have learnt – in our experience of teaching A Level Chemistry for 4 years this is where most students fall. One to one tutoring will enable your child to highlight areas of misunderstanding and work closely with a tutor to ensure they are fully prepared for examinations in May and June. GCSE Science and A Level Chemistry mock examination sessions will be running in April and May half terms, the session will include an Exam Technique lecture from an experienced teacher, a mock examination paper under exam conditions, a lunch break where the papers will be marked and an hour session to analyse the paper and the student’s answers.